Stonegate Gardens has hundreds of satisfied customers throughout Colorado and has grown over the years because of our great clientele spreading the word of mouth to family and friends. The owner, Award Winning Garden Designer, Leslie Ebert has been creating stunning gardens for 21 plus years, helping make Stonegate Gardens one of the premier landscape companies in Denver. Not only can Stonegate Gardens help you create the perfect outdoor space, we can also maintain and protect your investment. We work hard to maximize budget and get the result you are looking for! We can help you turn your garden into a relaxing outdoor retreat! Gardens beautiful enough to grace the covers of a magazine are the wonderful intertwining results of weeding, mulching, fertilizing, pruning, watering, dead-heading and more. 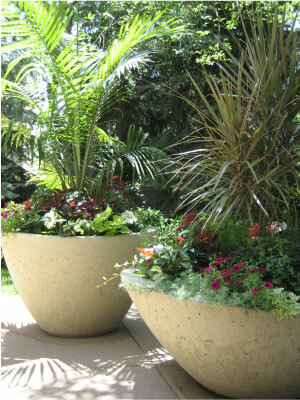 From initial consultation, design process and implementation - we maintain a picture-perfect garden for you.